MIX cream cheese, goat cheese, cumin and cayenne pepper until you’ve reached a smooth cheese filling. CARVE jalapeno peppers on one side and scoop out the seeds. FILL the peppers with the cheese mixture, best to use a piping bag but you can also use a spoon. BEAT together the eggs and milk in a bowl. COMBINE the all-purpose flour together with some panko in another bowl. COAT the peppers by first rolling them trough the eggs and then trough the panko, repeat if necessary. HEAT your sunflower oil / frying oil to 340 degrees Fahrenheit or 170 degrees Celsius. Carefully fry the peppers till they are crispy and have a beautiful brown color. 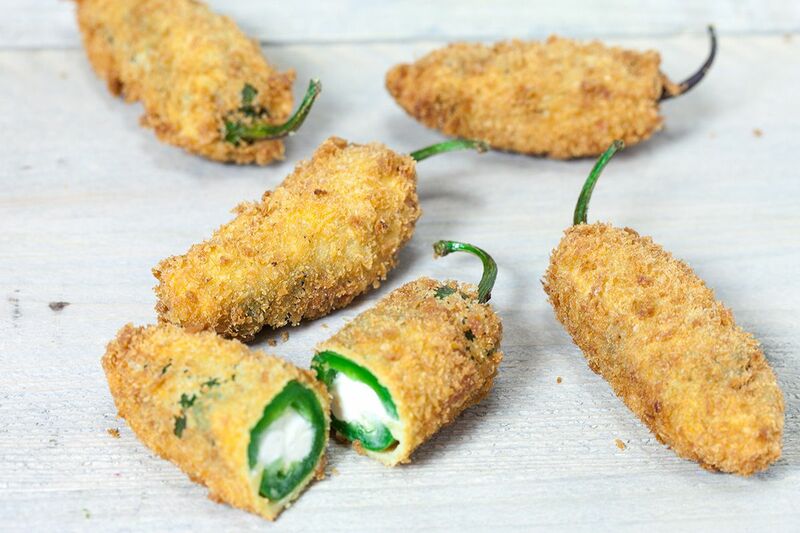 Jalapeno peppers are one of the favored varieties of chili peppers used in the North American cuisine, especially in the Southern states, where Tex-Mex cuisine is popular. 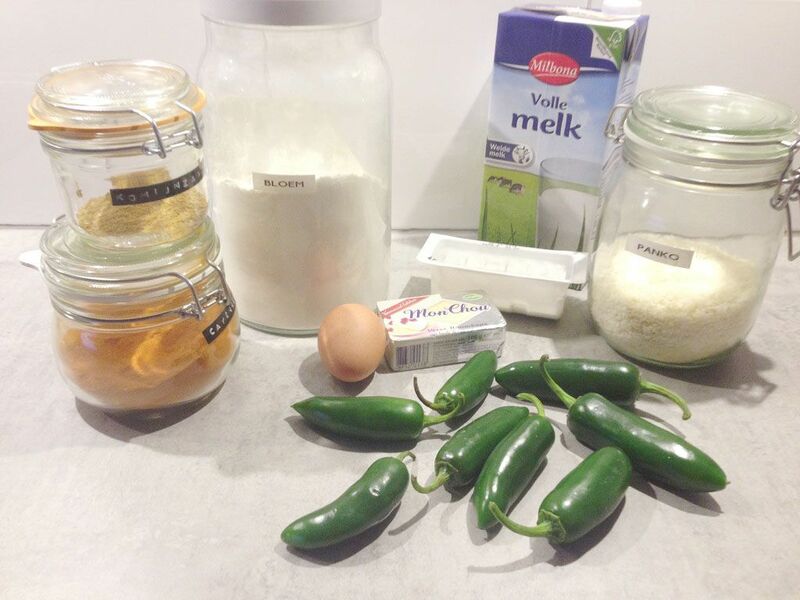 Just as other chili peppers, jalapenos too originate in the Mexico. 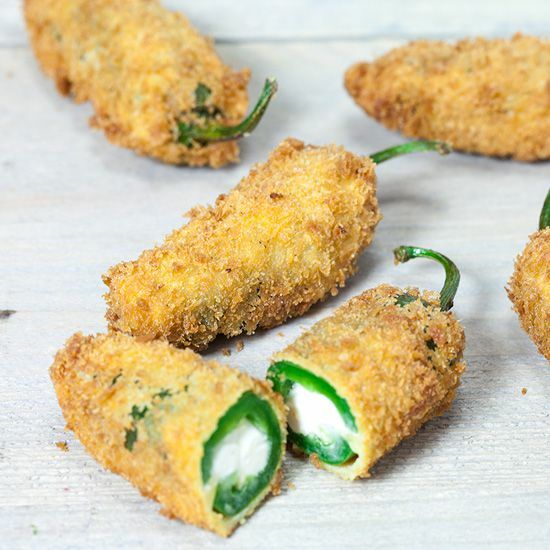 In fact, the name “jalapeno” is derived from provincial capital, Xalapa in the Eastern Mexican Veracruz state, where they cultivated by early settlers since centuries. Later, the crop was introduced to the rest of the world by Spanish explorers. I love spicy food! These poppers look amazing! I think I’d eat them all myself! 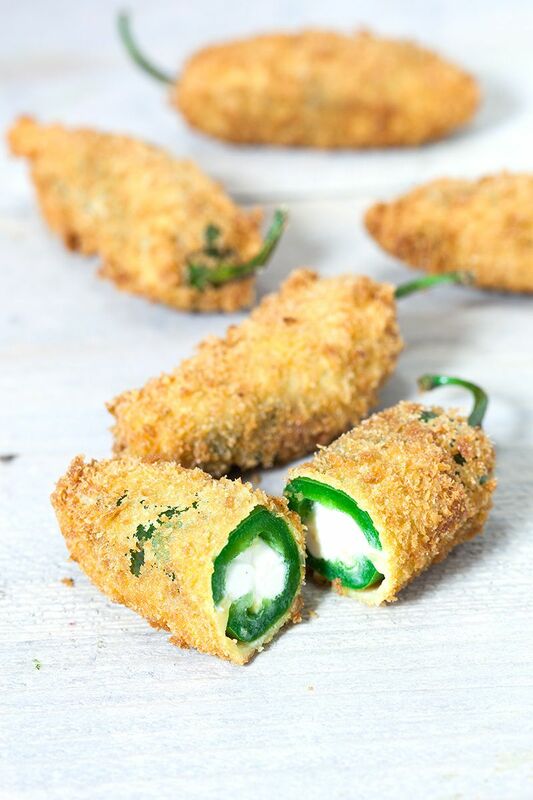 Oh my gosh, I like jalapeno poppers but I LOVE goat cheese. The combo of the two sounds amazing! Combining it gives it another taste dimension, so delicious! I’ll take a plate full please!